Rio Tinto is facing the loss of up to 14 million tonnes of iron ore exports – worth around $US1.2 billion or $A1.7 billion in lost revenue – in 2019 from the combination of a fire at its Cape Lambert export port in January that was compounded by the impact of Cyclone Veronica late last month. 2018 earnings were in line with Deutsche Bank’s estimates. The broker observes the company’s preference now appears to have switched to dividends as opposed to buybacks, with the first special dividend declared since 2006. 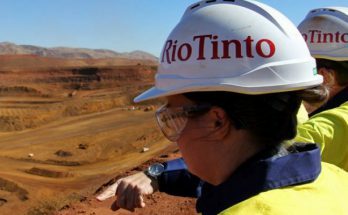 Rio Tinto has handed shareholders a second round of goodies to go with the massive interim payout and capital return. Rio Tinto last night finally admitted that it has been working on a massive copper-gold-silver find in the Patterson area of the East Pilbara in Western Australia. There have been rumours of Rio’s discovery now for much of the past year. December quarter production was broadly in line with UBS estimates. A strong performance at Escondida and increased production at Kennecott were highlights. Rio Tinto is confident the buoyancy of the Chinese iron ore market won’t end soon as it forecasts a small rise in its 2019 export forecast in the wake of a small rise in its 2018 performance. A special thanks to Rio Tinto’s iron ore boss Chris Salisbury for providing a much-needed laugh for the exploration industry in what has been a tough year. 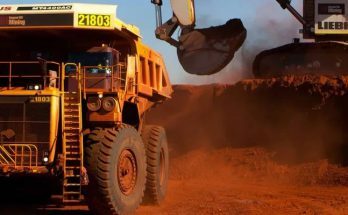 Rio Tinto has approved the US$2.6bn capital expenditure to develop the 43mtpa Koodaideri iron ore mine in the Pilbara. 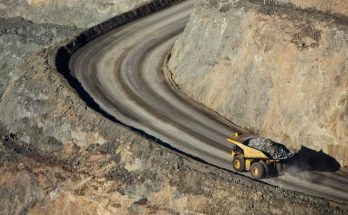 The mini-boom in the iron ore industry has topped the $9 billion mark after Rio Tinto approved a $US2.6 billion (A$3.5 billion) investment in its new Koodaideri iron ore mine. 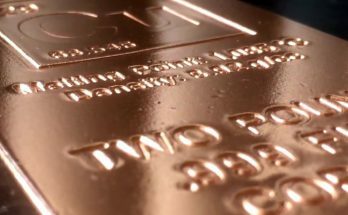 Has a massive new gold/copper discovery been made in the Eastern Pilbara region of WA, along with suggestions of a separate copper find by one of the world’s biggest miners? So much for Rio Tinto’s proposed $US1.3 billion sale of its stake in the huge Simandou iron ore prospect in the African country of Guinea – it has lapsed because Rio and the Chinese buyer couldn’t agree on terms. Rio Tinto’s hush-hush copper discovery in WA’s remote North Paterson region is to get its own airstrip. 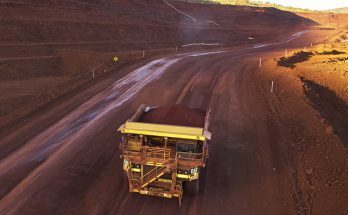 Rio Tinto has maintained its target to ship at the upper end of the guidance range of 330 to 340 million tonnes for the 2018 year to December 31, despite reporting a 5% slide in exports for the three months to September. Well, that’s it for capital management deals helping shareholders in Rio after the miner finally sold its stake in the huge Grasberg copper mine and will keep the money for itself. 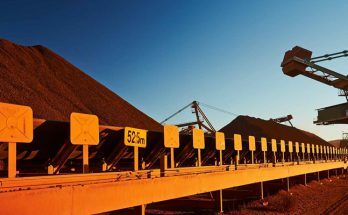 Rio Tinto says it will return $US3.2 billion ($4.4 billion) to shareholders from the cash raised in the recent sale of coal assets via a share buyback. Shares in global miner Rio Tinto were sold off yesterday in the wake of the interim result as brokers reckoned the record dividend, buyback (with more to come) wasn’t enough. 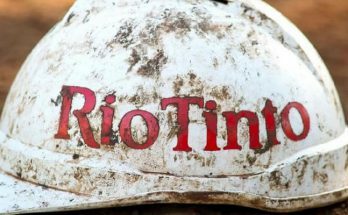 Rio Tinto is on track for another record dividend in 2018 after its board approved the largest half year payout in the company’s history. 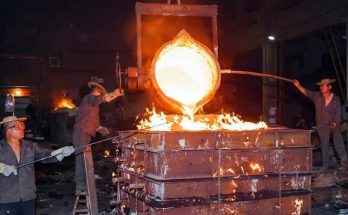 Production results in the June quarter were in line with UBS estimates, with the exception of copper and titanium dioxide. Given the strong result, guidance for all commodities is unchanged except for a narrowing of the titanium dioxide band and a reduction in IOC’s iron ore pellet and concentrate production. Boom times for the world’s major iron ore miners. While Rio is yet to confirm the discovery in what is Lawrence of Arabia-type country, latest satellite imagery suggests it is indeed on to something that just might shape up as special. While believing some of the bear scenarios regarding rapidly rising scrap consumption are premature, Deutsche Bank expects Chinese demand for iron ore to peak around 2020 and limit the growth potential for the major producers. The broker reduces assumptions for Rio Tinto’s iron ore production from 2021.